This wine is perfect for sharing and enjoying with sunny Mediterranean cuisine, and our boxed wine means there is always enough to go around. With sweet vanilla and black prune, complemented by hints of pepper, this Merlot combines with white meat, fresh cheeses and Mediterranean dishes such as pizzas and risottos. And you can enjoy our wine safe in the knowledge that we are environmentally-conscious, too. 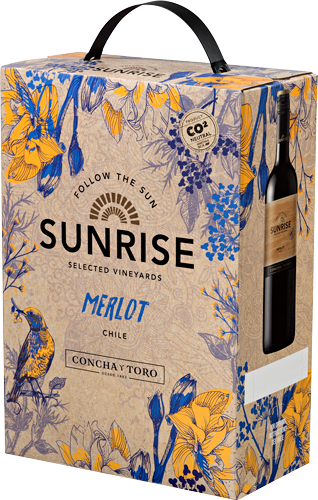 Our boxed wines always use recyclable packaging. Elegant, full and strong-bodied with a lengthy and agreeable final note, this wine will light up your evening.